The things that make a garden designer happy! 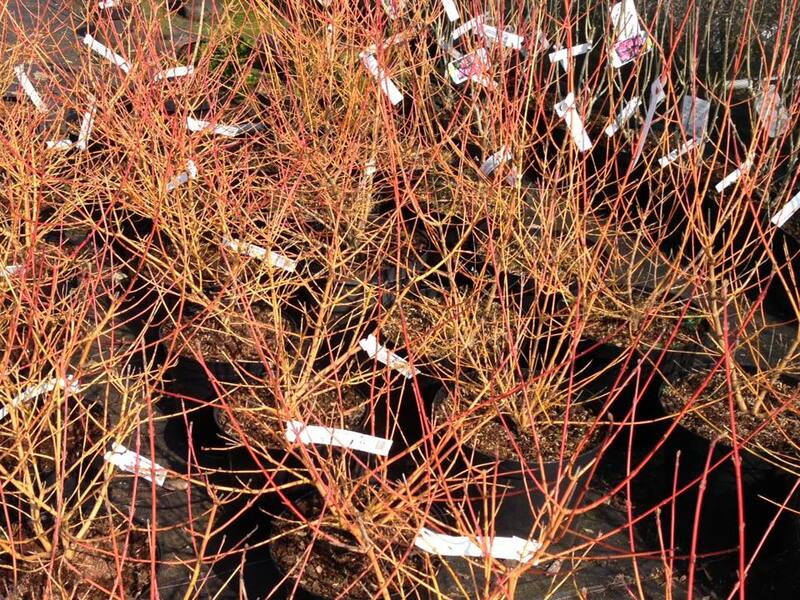 The vibrant stems of Cornus (dogwood) in a Woking nursery. The beautiful specimens of Ilex (holly) and the best alternative to box, Ilex Crenata. Not a bloom in sight in these images, showing that gardens benefit from evergreen foliage and colourful stems to add winter and spring interest to garden borders.